Riverside Regional Jail is managed under the philosophy of Direct Supervision. Under Direct Supervision, an officer supervises each housing pod and work among inmates without any form of barrier or separation from them. The officer is able to directly interact with the inmates and preempt or diffuse problems. Paramount to the success of this style of supervision is the officer’s complete authority and control over their area of responsibility. Direct Supervision enhances the interaction between officers and offenders, and reduces offender violence and vandalism. On October 2007, Riverside Regional Jail established a Color Guard team of five (5) sworn staff members. Color Guard members are those members of the organization who are selected by Command staff and the Color Guard Commander, who aspire to professionalism in all aspects of the operation and maintain the highest standards of integrity. In 2014, the Color Guard members doubled in size from five (5) sworn staff members to currently eleven (11) sworn staff members. The Color Guard team currently has one (1) Commander, one (1) Assistant Commander and two (2) squad leaders and seven (7) squad members. The squad leaders are responsible for all equipment, organizing practice sessions and implementing new procedures. The squad leaders are selected by the Color Guard Commander. The squad members are responsible for presenting the colors and/or carrying of weapons during selected activities. The Color Guard team is actively involved in our member jurisdiction communities. 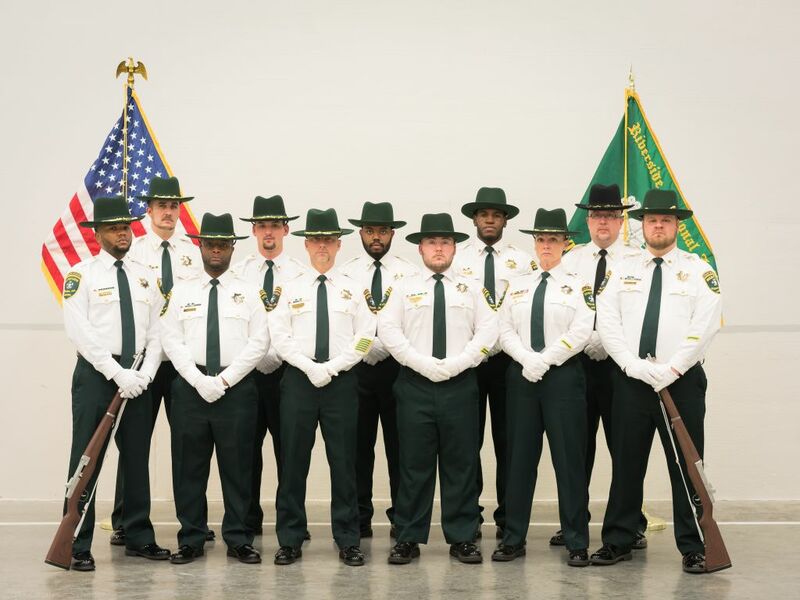 The Color Guard participates throughout the year in special events, such as Crater Criminal Justice Training Academy Basic Jail Officer graduations, parades, competitions, funerals, memorial services for military and law enforcement, and many other local special agencies special events upon request. Participates in the Virginia Polar Plunge. The Colonial Heights and Prince George Annual Christmas parades. 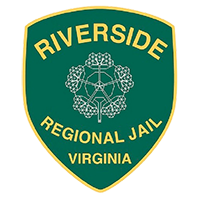 Riverside Regional Jail’s Color Guard team has five (5) servicemen and one (1) servicewoman of the armed forces. Riverside Regional Jail is a proud supporter of our U.S. military and staff who are and who has served our Country.